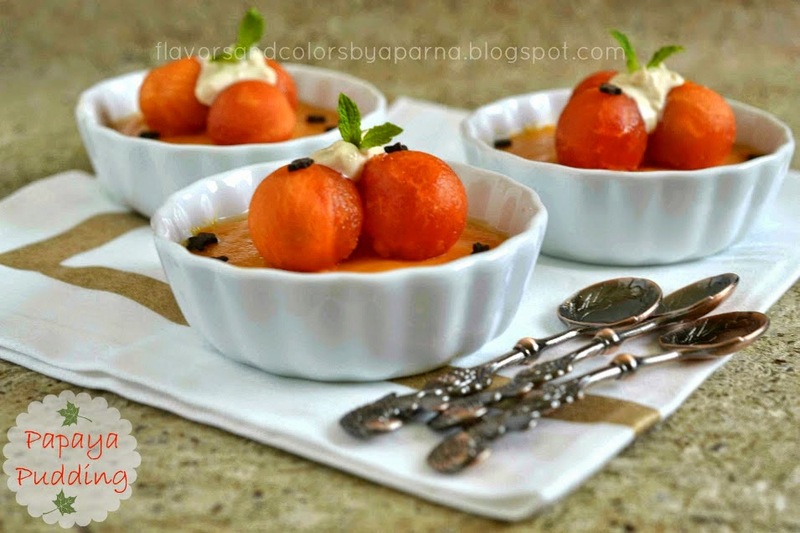 "Rendez Vous with a foodie" is an event hosted by Priya on her blog Priya's Versatile Recipes. This event has been running successfully till now and you can read through the list of her guests here. This month I get an opportunity to be guest in this event and share about my blogging space. Apt to her blog name, Priya is indeed a versatile cook/blogger who has shared many interesting recipes varying from traditional foods, to fusion foods and healthy innovations. The first recipe that caught my attention was her guest post on Aps Kitchen sharing Pumpkin and red rice flakes kheer. I liked it and attempted this healthy kheer immediately which my family loved it. She is an expert baker and has the longest baking list I have come across till date.If you notice most of her posts carry one beautiful photo about the dish with minimal or no props and its the napkin placement around each dish that I like very much. These napkin placements only made me realize that she has another blog named Cook Eat N Click where she shares easy to make recipes. She has always inspired me to try and beautifully place these napkins while clicking food photos besides her innovative recipes. Happy to have known her through this platform and all my best wishes Priya, to carry on with good work. Thanks for being so supportive, encouraging and giving chance to new bloggers through this event. 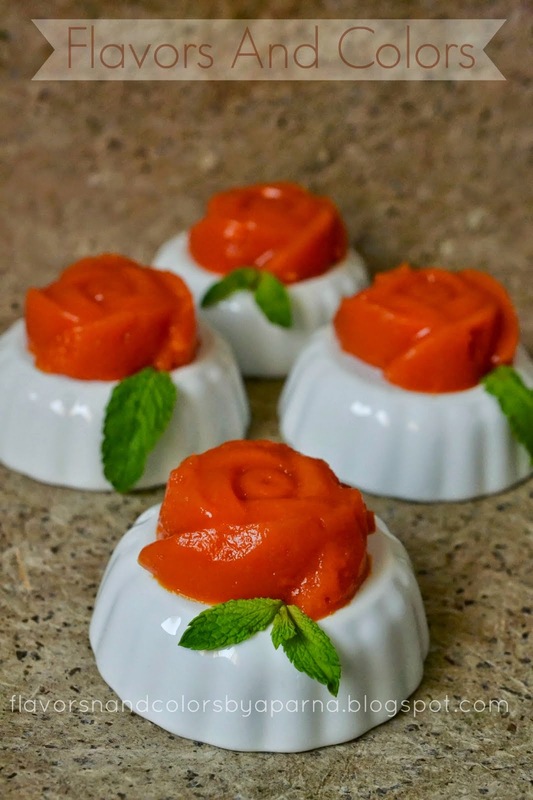 Now coming to the dish, I opted to share about Papaya pudding, an incredibly easy to make dessert that can be relished guilt-free! Lovely guest post and a lovely blog! Happy to follow you! 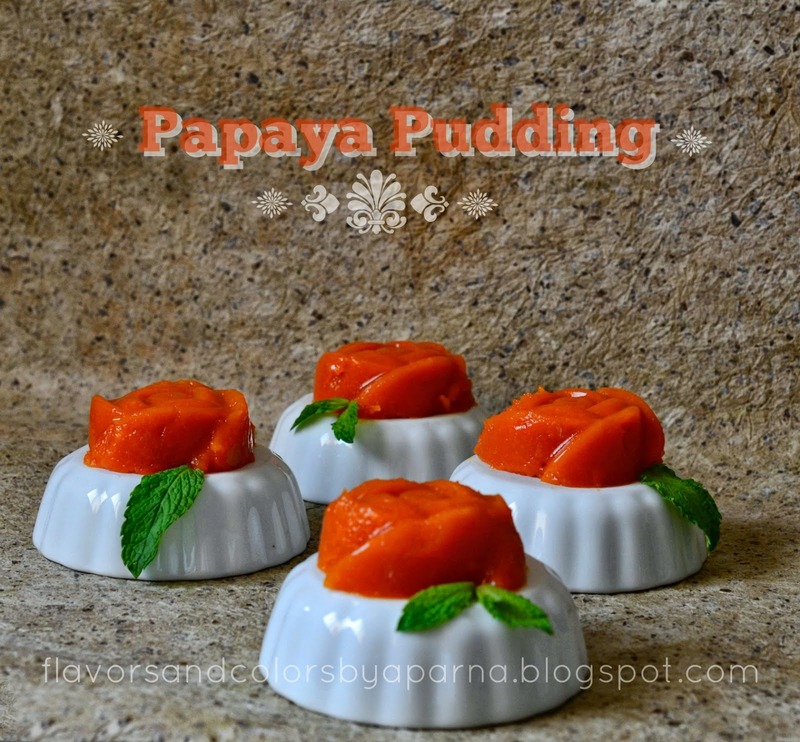 Thanks for ur kind words Aparna, and seriously i have to say big thanks for sending this wonderful guest.. happy blogging to u too..
Papaya pudding sounds good. Beautiful clicks! @anonymous : thnks for lovely words and pointing out the inconvenience wrt to plugin,, it was some technical issue that popped up while making some changes to codes on template.. hope its fine now.